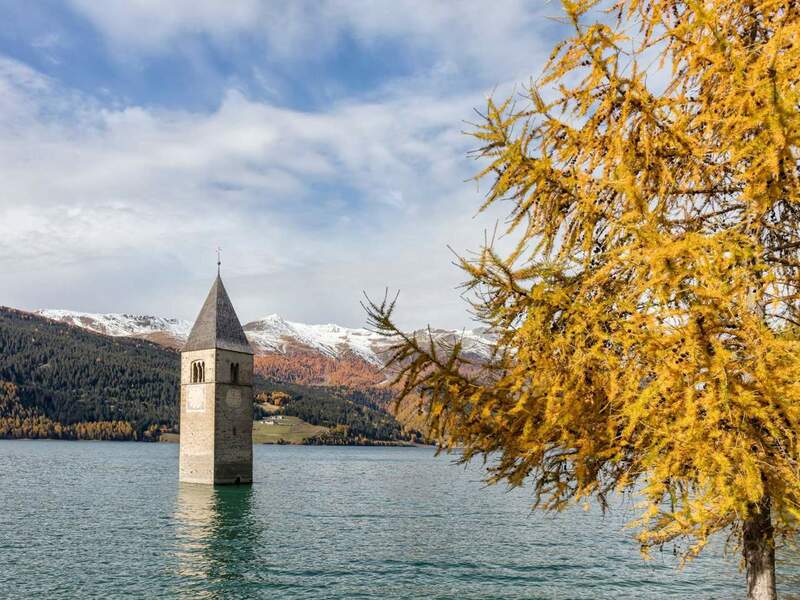 Whether small or big, mountain or bathing lake – South Tyrol’s impressive lakes are for sure some of the most known attractions for vacationers in South Tyrol. 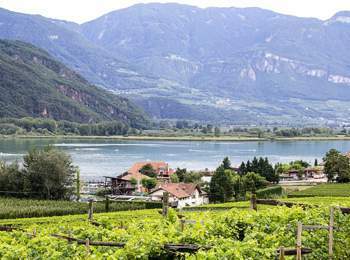 If you choose spending your holidays in South Tyrol, you should not miss a visit at the region’s lakes – and who knows, maybe a refreshing bath in their vitalising waters as well. 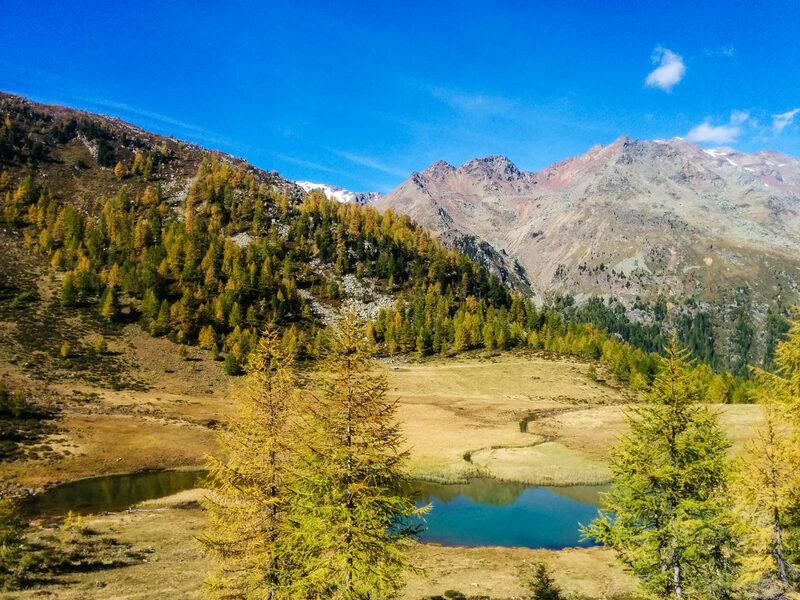 South Tyrol’s mountain, artificial and glacier lakes are spread over the entire region, representing a famous destination for excursions at any season. 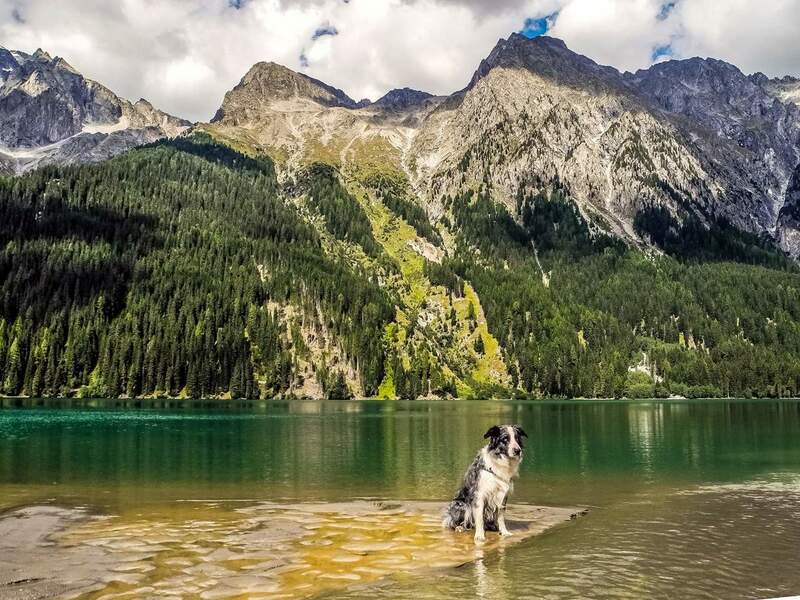 Without any doubt, a vitalising bath in a high alpine mountain lake is good goal for hiking tours of any kind. For instance, a tour to Spronser Lakes in the heart of Texelgruppe Nature Park is especially beautiful. 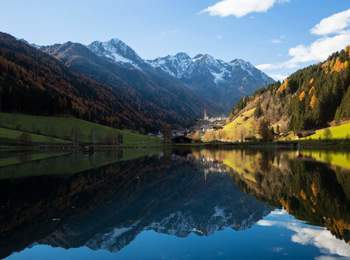 A number of 10 alpine lakes will delight nature lovers with their deep colours, reflecting the peaks in the environs. 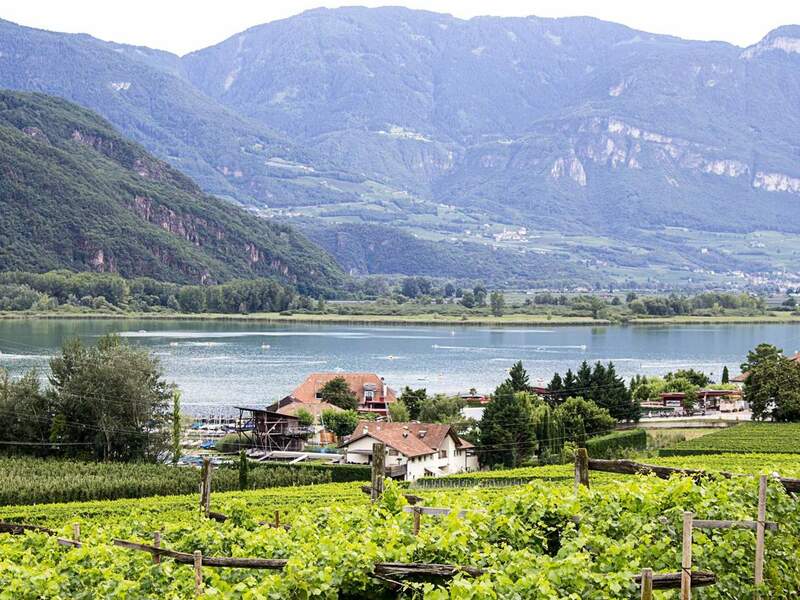 The reservoir of Vernagt-Stausee is located in the valley of Schnals, on 1,689 m above sea level. “Ötzi”, the Ice Man, was found in its environs in 1991. 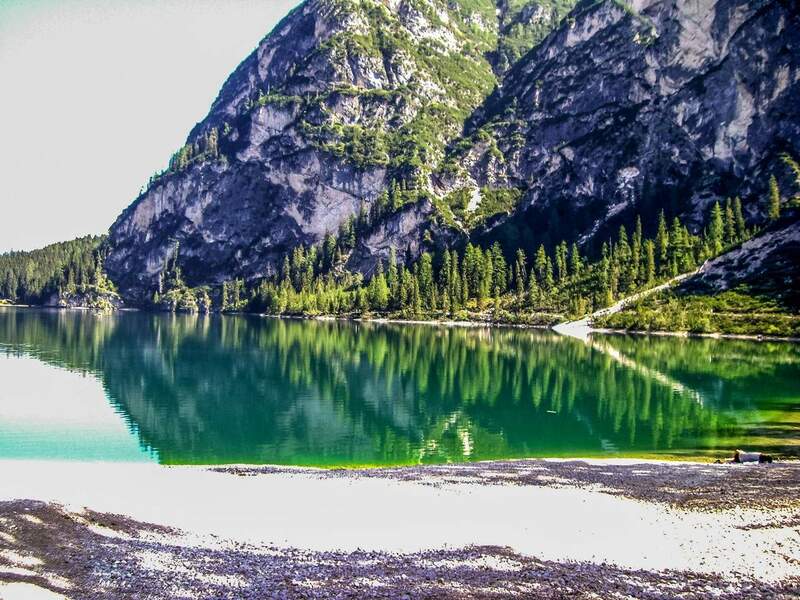 In Eggental, nearby Rosengarten and Latemar, the high alpine Lake Karersee awaits you. 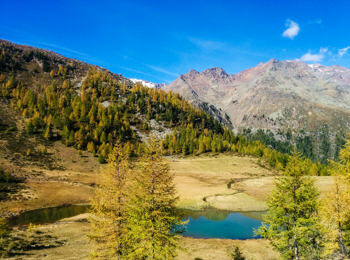 Every year, the weather in South Tyrol offers many sunny days. 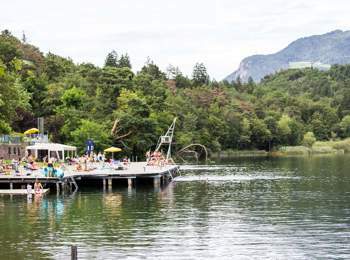 Especially in the Southern area, sun lovers will look forward to a few natural or artificial bathing lakes. Their shores are a paradise for families and relaxation seekers. 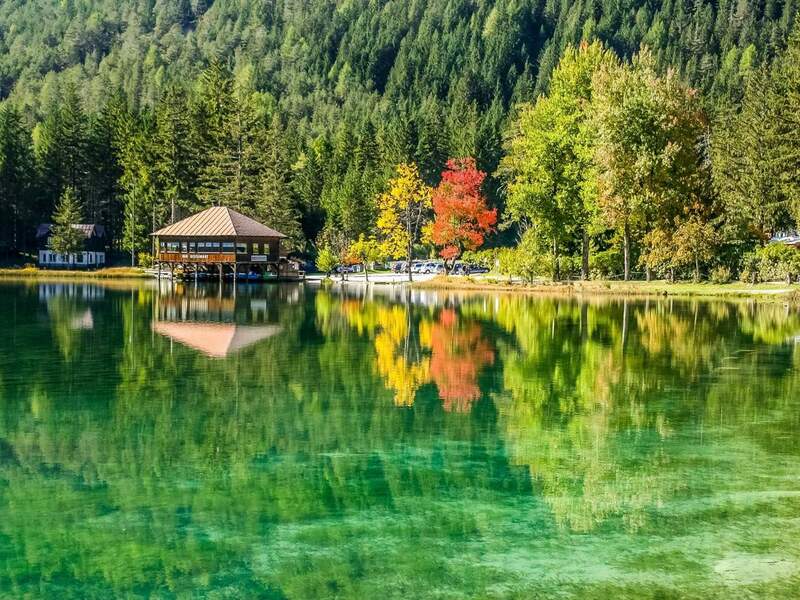 One of the biggest and most famous bathing lakes in South Tyrol is Lake Kaltern. Moreover, the picturesque Lakes of Montiggl beautifully integrate themselves in the surrounding woods of Eppan and environs. Other bathing lakes are Lake Wolfsgruben and Lake Fennberg. In the more distant green valley of Pustertal, you can find many other lakes, such as those in Toblach, Antholz and Prags. In fact, if you would like to take a bath here, you should be very courageous and do not be afraid of freezing water. 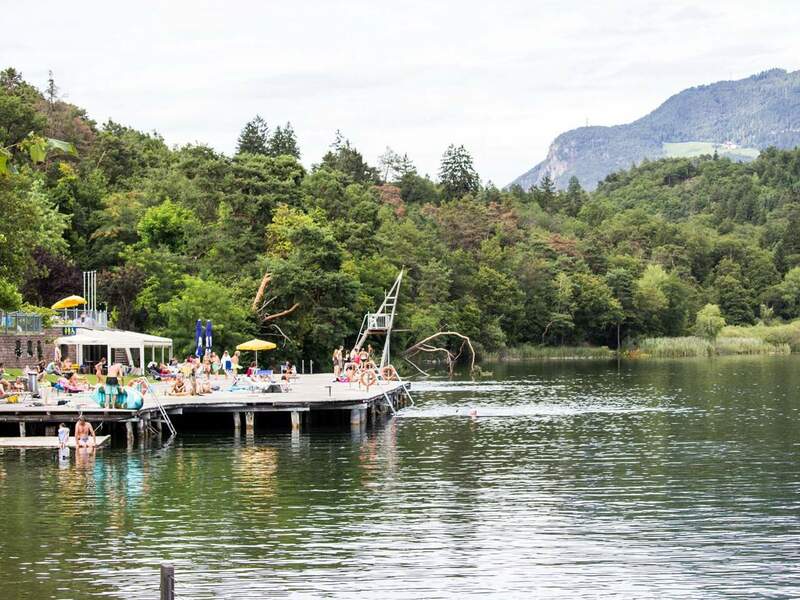 Wind conditions permitting, many lakes are ideal for other outdoor activities such as wind or kitesurfing. In fact, a well-known location is Lake Reschen in Graun in Vinschgau, from which emerges an ancient church tower, the most important landmark of this area.